nolady, GritNGlitter, Santi Chacin and 1 other person like this. Worse: when you think you own an album and it’s not where it would be if you’d actually remembered to buy it. nolady, GritNGlitter, mcherry and 1 other person like this. In this case, I have the receipts! The other possibility is that it never arrived back in 2014 and I just didn't notice? But it's in my 'cogs. Went thru this yesterday. Literally had to go thru all 1700 records to find a single one. Mandoline: 1. Protective glove: 0. Fingertips: -1. Apple chips: Dehydrating. @kvetcha, mine's probably not kevlar and more meant for when using the grater attachments. It was a pretty cheap set overall. Also, just remembering my kit did come with a hand guard specifically for the mandoline. It was just buried in the cabinet. Silly me. Thanks! I exaggerated the severity for effect. Just a nick! Fourth row for Jonsi & Alex. Lawd, help me and my wallet. Corycm and chaosisbliss like this. Unless you're the Icelandic tax department, your wallet is probably safe. After Aegis Byrjun and J&A tix, I'm certainly doing my part to help cover their back-taxes. Or should I say Paypal credit is while I take advantage of 6mo. financing. Travel and lodging booked for Denver mid-October. Wardruna at Red Rocks, here we come! Enaz Fox, KenKaniff, GritNGlitter and 1 other person like this. Hoping my nearest local has the new These New Puritans. Decided after streaming I need it TODAY. Guess we're going to Denver. Just secured tickets to Wardruna at Red Rocks in October! Enaz Fox and JonnyH like this. 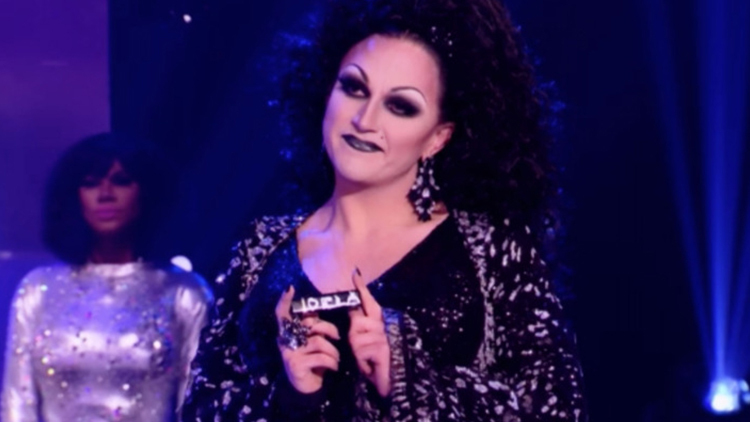 All this DeLa talk has me thinking everyone is still as upset about RPDR All Stars 3 as me. I am so glad that I'm not the only one whose mind immediately goes to BDLC when I hear "de la"
RPDR AS3 was WRONG. RPDR AS4 just shouldn't have happened. Heath and evanbenner like this. Seeing Peter Murphy and David J play In the Flat Field tonight in a chapel. Can't wait! kvbordes, nolady, Siglet and 3 others like this. Enjoy it! Saw them last week and they were awesome! Doing the post-rock gods' work by adding digital compilations with yet-unlisted artists to Discogs. nolady and Nathaniel D. like this. Look at @evanbenner crushing it on a Tuesday. DISTILLERS TOUR. I can die happy. Siglet, bfly, GritNGlitter and 1 other person like this. After I go, that is. GritNGlitter and evanbenner like this. Any day with a new Deptford Goth album is a good day, even if it's only digital for now. Can I give 2019 AOTY to The Twilight Sad already? I just might. McGlam and twentytwo like this. Great job interview and managed to get Massive Attack presale tix. Now off to Grand Rapids for the weekend! notgabewhite, tvham and Eriatarka like this. No, I don't want no swaps. A swap is a thing that can't rock me more than Queen. GritNGlitter, kvetcha and indiemisanthrope like this. I read this in the tone of "No Scrubs"(and now you will too!). Tyr and evanbenner like this. "Hanging out the passenger side of the Wayne's World ride...singing Bohemian Rhap-sody"
Perfume Genius is opening for Florence tonight! Extra stoked. bgod, teee, GritNGlitter and 6 others like this. Everyone else rage binging their Bandcamp wishlist to support voting rights today or just me? Kris, jaycee, BjorgenFjorgen and 2 others like this. Almost forgot about this, thanks for the reminder. Phaneronic, jaycee and evanbenner like this. Riot Fest this weekend. Cold Waves Festival next. My dark little heart is ready. bfly and wokeupnew like this. FYI Amazon's back to $1 digital credit for choosing no-rush shipping (instead of Prime Pantry credit). Still in a state of disbelief we saw ionnalee / iamamiwhoami last night. this_unfolds, Phaneronic, Woob_woob and 1 other person like this. Dang, Foxing. Three for three on killer albums.